The oral argument of Digitech Information Systems v. BWM Auto Leasing will interest some readers. 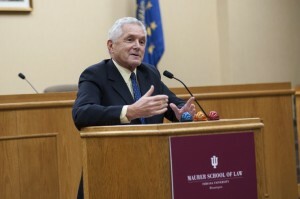 The patentee appealed a summary judgment of invalidity under 35 U.S.C. §101. Much of the oral argument focused on what was the definition of an abstract idea. Judge Moore again championed software patents during the oral argument. She inquired if claims can be distilled down to a series of steps by discounting structure and other meaningful limitations, then doesn’t every software patent distill down to an algorithm. Chief Judge Rader followed that comment with observations about the software economy that we live in: [Listen]. Their points are well-taken. One only hopes the Supreme Court will some day recognize that we no longer live in an age dominated by combines, reapers, and other mechanical inventions. We live in the information age and need to provide innovators the ability to protect their inventions. Given the makeup of the panel and the tenor of the oral argument, I was a little bit surprised that the panel not only affirmed the district court but also issued a Rule 36 Judgment. You can listen to the entire oral argument here: [Listen]. 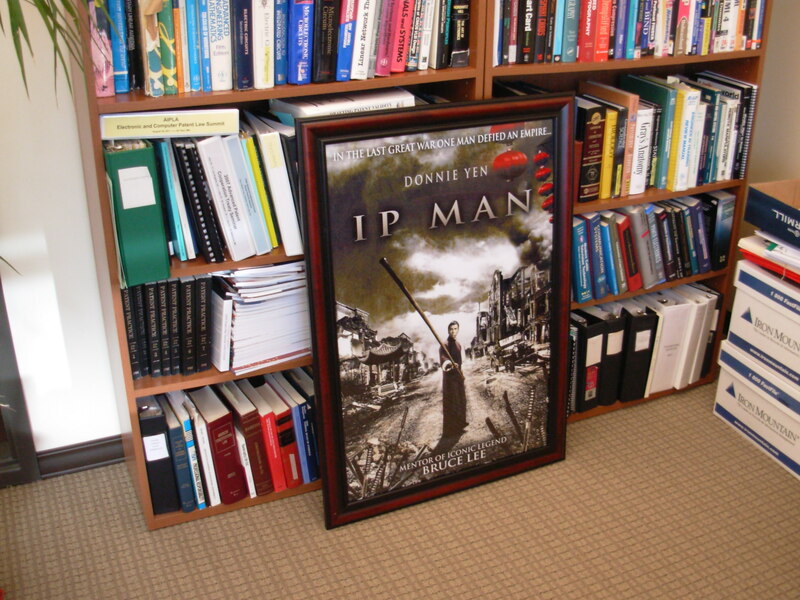 I finally got a frame for my “IP Man” movie poster. Food for thought if you are looking for that unique gift for the discerning IP professional. Here’s a better look at the IP Man movie poster: [Link]. You are currently browsing the archives for the Humorous category.